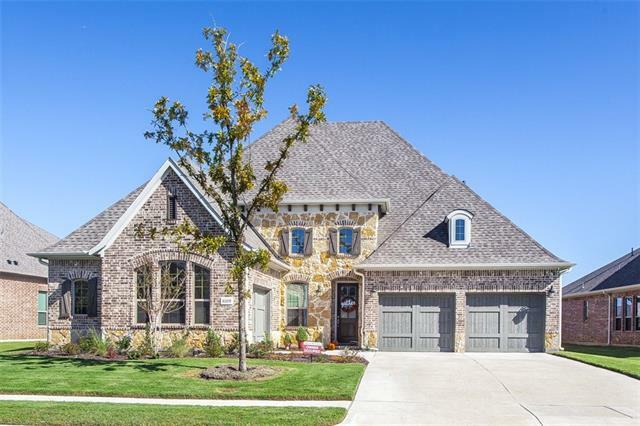 All Waterford Point Ph 1 homes currently listed for sale in The Colony as of 04/21/2019 are shown below. You can change the search criteria at any time by pressing the 'Change Search' button below. "Better Than New! Taylor Morrison Del Mar Plan with Study.Enjoy active living. Stunning drive up with three car garage and stone accents. Gorgeous Contemporary style and color.Wood Floors throughout this home.French door study overlooks front of home.Host a wine tasting in this Chef's Kitchen with gas cooktop, timeless dark cabinets, classic white quartz and large bin sink. Live in luxury with this master retreat, breathtaking windows, and master bath with extended shower and two shower Huge ba"
"Better than new! Taylor Morrison Harrison Plan with Flex-Study-Sunroom. Open floor plan with oversized kitchen island, quartz and stainless appliances. Trending Colors. Luxurious master suite. Enjoy relaxing evenings on the covered patio and outdoor fireplace. Situated in coveted Waterford Point of The Tribute featuring a private clubhouse, lifestyle director, swimming pool, fitness rooms, nature paths and two award-winning golf courses. Conveniently located near the excitement of Legacy West ye"